Navy Blue Suit Brown Shoes or Black Shoes? Home › Resources › Careers › Recruiting & Search › Navy Blue Suit Brown Shoes or Black Shoes? Navy blue suit with brown or black shoes in finance? Should I wear black or brown shoes with a navy blue suit? This question comes up surprisingly often. If you’re going for an interview or starting your first day at a new job in corporate finance,Corporate Finance OverviewCorporate Finance involves the financial aspect of businesses wherein sources of funds are determined, existing assets invested, excess profits distributed. Corporate finance also includes the tools and analysis utilized to prioritize and distribute financial resources. The ultimate purpose of corporate finance is to then you want to look your best! Like it or not, the way you dress plays a role in your colleagues’ overall impression of you. Below we will break down the debate of: “navy blue suit – brown shoes or black shoes?” with an analogy to risk and returnRisk and ReturnIn investing, risk and return are highly correlated. Increased potential returns on investment usually go hand-in-hand with increased risk. Different types of risks include project-specific risk, industry-specific risk, competitive risk, international risk, and market risk..
Black shoes are the most conservative and traditional, and therefore the safest option. If you’re risk averseRisk Averse DefinitionThe risk averse definition the characteristic or trait of avoiding risk. This characteristic is usually attached to investors who prefer lower returns to, wear black shoes with your navy blue suit to significantly reduce the chances of standing out in a way that receives negative attention (i.e., people at the office commenting that your fashion sense is off). Along with lower risk comes less reward in the sense that you’re also less likely to wow anyone with your fashion sense. Blue suit, brown shoes, on the other hand, involves a bit more risk. If you’re in a super-conservative working environment, they may look negatively on your attempt to be too fashion-forward. If it works though, the blue suit with brown shoes gambit can propel you to the upper levels of fashion status at the office! 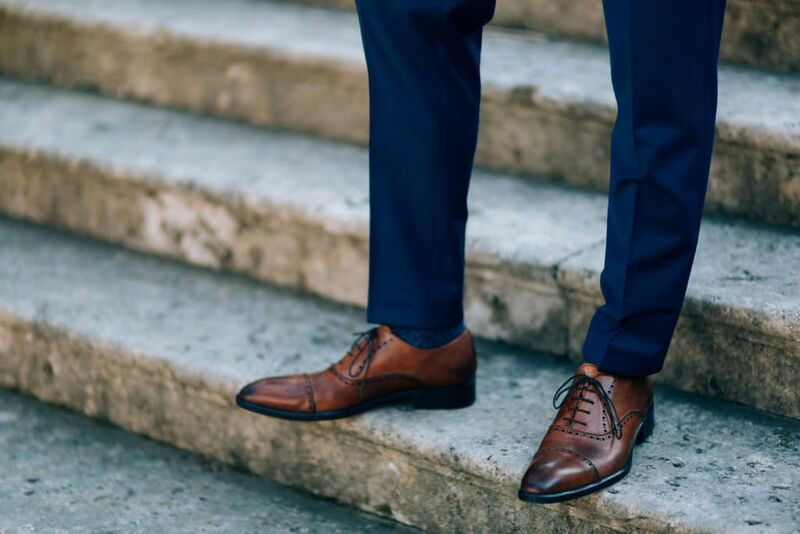 It’s important to note that whether you choose blue suit, brown shoes, or blue suit, black shoes, you need to match the color of your belt to the shoes. This point is critical. If you wear brown shoes with a black belt, then your high-risk strategy will most likely fail, and you’ll be criticized for a poor attempt. Conversely, don’t do the opposite and wear a brown belt (or any other color but black) with black shoes. It should be noted: there is a super-advanced technique of intentionally mismatching the belt and shoes to create “controlled disharmony”, but that is only for the very fashion daring, shooting for ultra chic. To read more on the subject, see what the Wall Street Journal says about matching belts and shoes for men. A big part of the answer to this question is, “It depends on which area of finance you’re in and which firm you work for”. 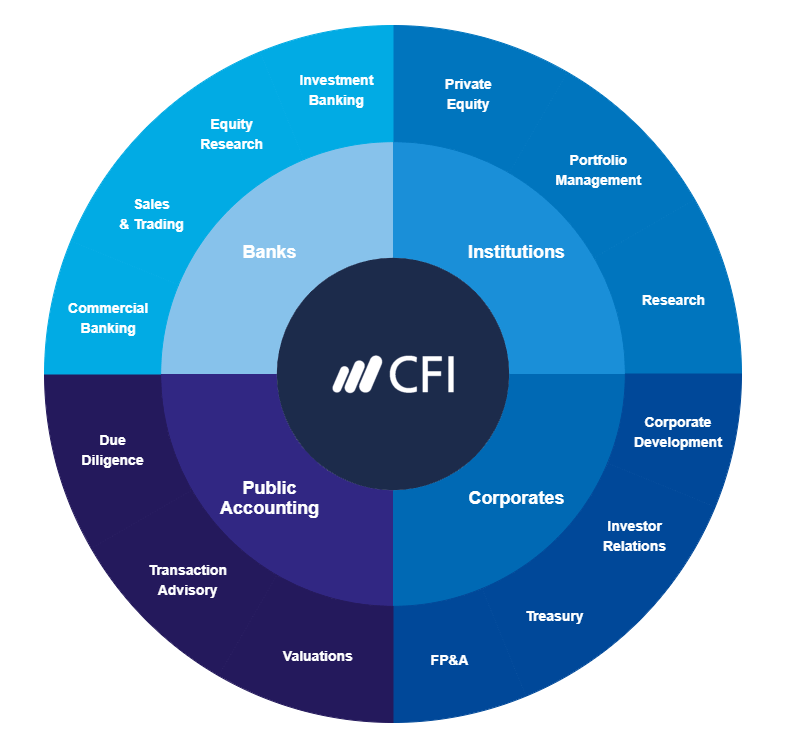 To learn more about competitiveness, personality, and career paths in different areas of finance, explore our interactive career map below.